Another week, another really weird challenge for Battle Pass owners in Fortnite. This one challenges you to dance in forbidden locations on the map. What sort of weird dystopian universe doesn't allow dancing? That's a problem for another day. Today, we're going to help you find the locations where dancing is forbidden, so you can break all the rules and earn a ton of XP and other rewards for doing so. You badass. 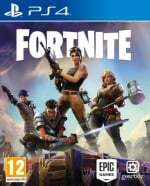 How do I find the forbidden dance locations in Fortnite? Epic has gone to the length of including signs posted in various locations that show a dancer with a red line across it. Can you figure out what that means? That's right! Dancing is forbidden here. 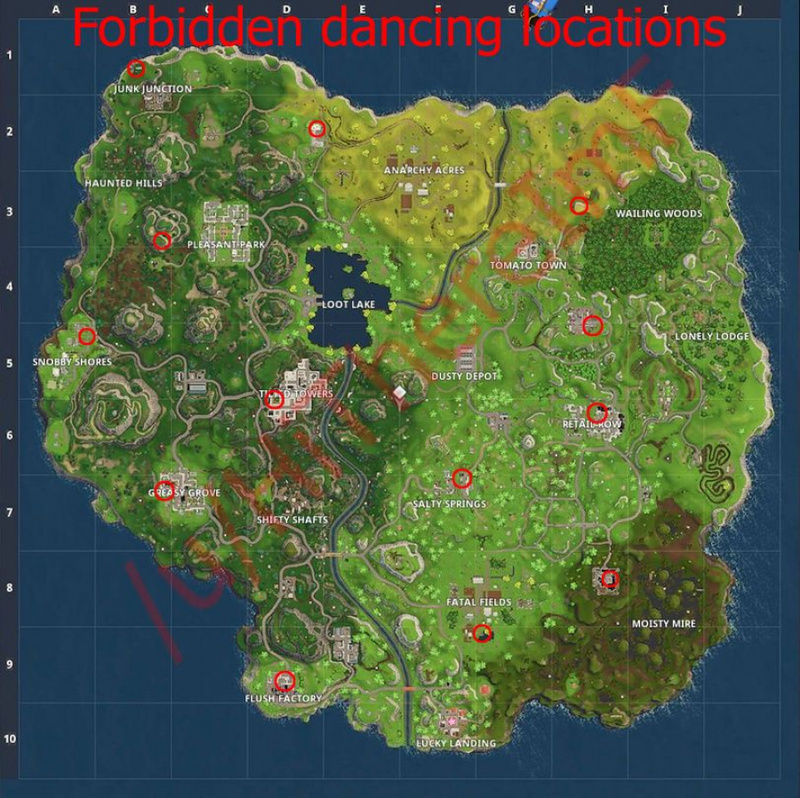 In total, there are about 13 forbidden dance locations, but you only need to dance in five of them to complete the challenge. Rather than have you scouring the map trying to find them though, Reddit user HiThereImF has created a handy map with all of the locations on it. Thanks! Slightly northwest of Junk Junction. Slightly northeast of Snobby Shores. The east side of Greasy Grove. The east side of Tilted Towers. Slightly northeast of Salty Springs. 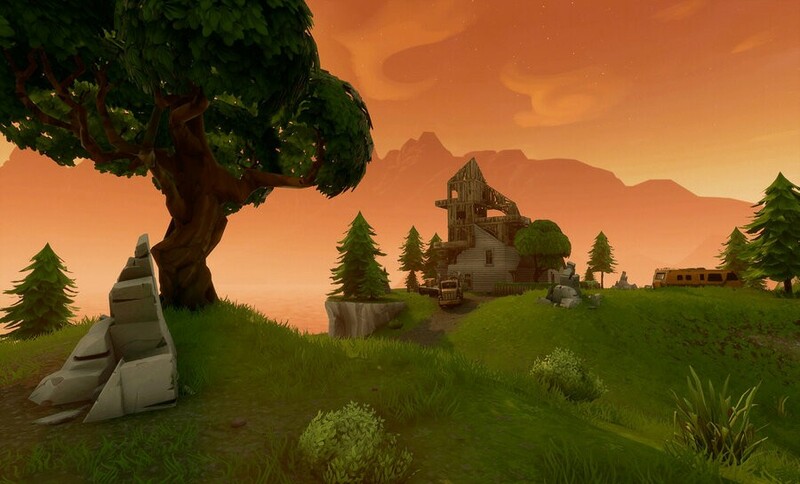 What do I do when I find a forbidden dance location in Fortnite? Isn't that obvious? You dance! To dance, press down on the D-Pad and use the relevant emote. Note that there will be no signs that you've done this correctly, so dance for a few seconds right next to the sign to make sure you complete this properly. Also, bear in mind that you have to complete the game you're playing to complete this challenge. You can't just quit out after dancing in a few locations.